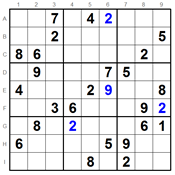 Welcome to the Daily Jigsaw Sudoku Competition. 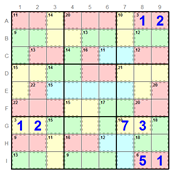 This puzzle is exactly the same as a normal Sudoku - fill in the rows and columns and boxes with 1 to 9 without the same number appearing in any row, column or box. 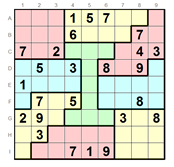 BUT, in a Jigsaw, the boxes are rather strange shapes. 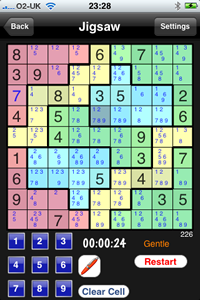 You can still use the same strategies and perhaps invent some new ones. 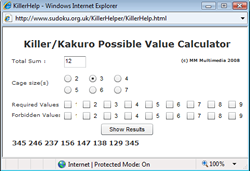 The competition rules are simple, just print out the Sudoku from the link below and when you have completed it enter the numbers in the graphical sudoku board (yes it's a form!). You need to enter your name, email address and country. If this is your first time then it will automatically create a personal history for you so you can keep track of your submissions and try for the Experts list. Anyone can get into the Top Jigsaw Expert list - this is now the sum of all your correct entries for the last three hundred and fifty days. 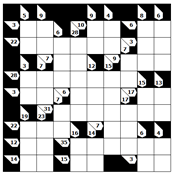 Sundays's puzzle is Diabolical! - Today!